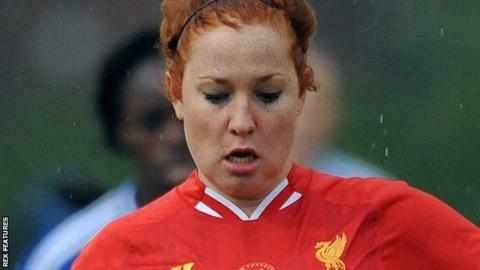 Liverpool Ladies have retained defender Martha Harris, striker Ashley Hodson and midfielder Katie Zelem on undisclosed new contracts. The news follows the decision to release four players earlier this week, including Iceland international Katrin Omarsdottir and defender Becky Easton. Harris came from Notts County Ladies in 2013, Zelem from Manchester United, while Hodson is an academy product. "[They] are players with a great deal of potential," boss Scott Rogers said. "Last season was a difficult season for us, but one of the benefits was allowing players like Martha, Ashley and Katie to gain some valuable first-team experience." Under former boss Matt Beard, Liverpool finished seventh in the 2015 Women's Super League One table, just five points above bottom side Bristol Academy.